An amazing taste of an additive and surprisingly simple game that's everyone's favorite game right now. English? 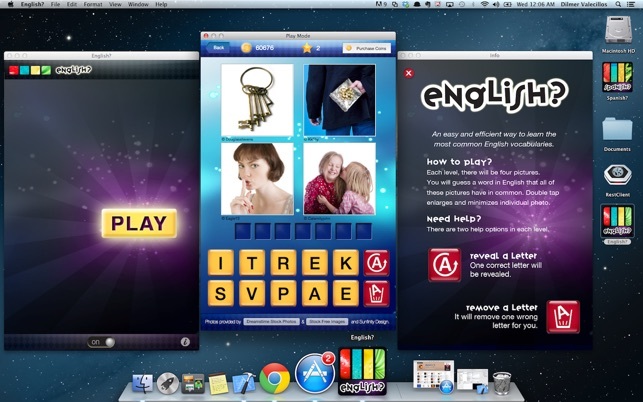 gives you an opportunity to play your favorite game and also learn some of the most common english words. Did you say What? Yes that's correct our version consist of words in English to help you learn quick and easier! 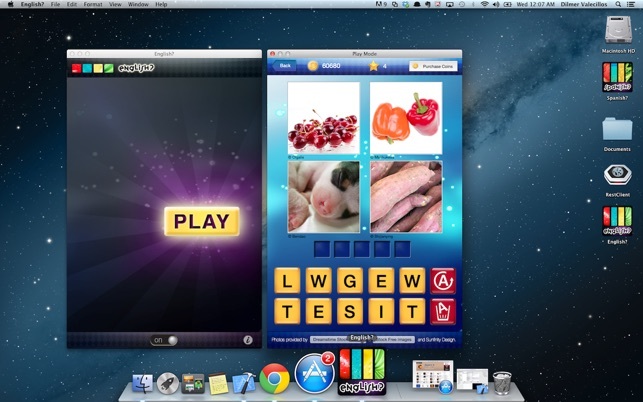 The game displays 4 pictures with common similarities. Your job or goal is to solve the puzzle by discovering the word that represents all 4 pictures. This version includes amazing features! - A total of 105 amazing designed levels. More levels coming in next versions! 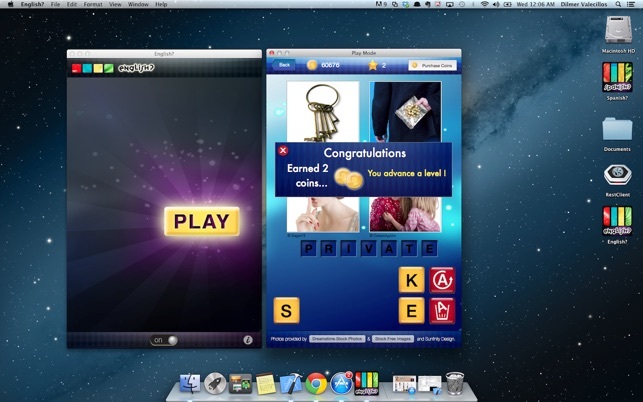 - Sound effects to keep your game play fun and enjoyable. 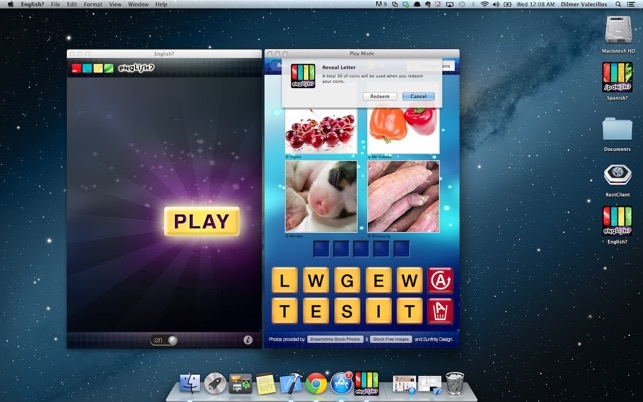 - Ability to select or dismiss letters as they're selected. 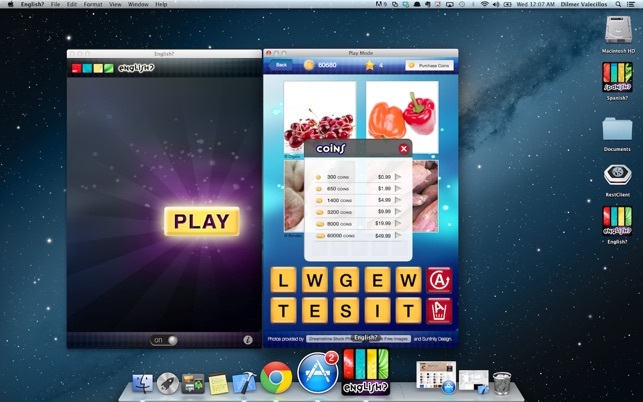 - Reveal letters and eliminate letter options. - Info page describing game options. We're so excited about this version, we promise you'll love this game as much as we do!